D-ram-ata: Using Data in the Drama Classroom! Self-assessment and peer-assessment play a very important role in the Drama classroom. Getting into the habit of constantly reflecting on one’s performances and the performances of others is paramount to learning how to think like an artist. Ever since the introduction of iPads in our school, I have made use of eLearning tools to facilitate the processes of self-assessment and peer-assessment in my drama classes. One of my favorite tools is Google Forms. 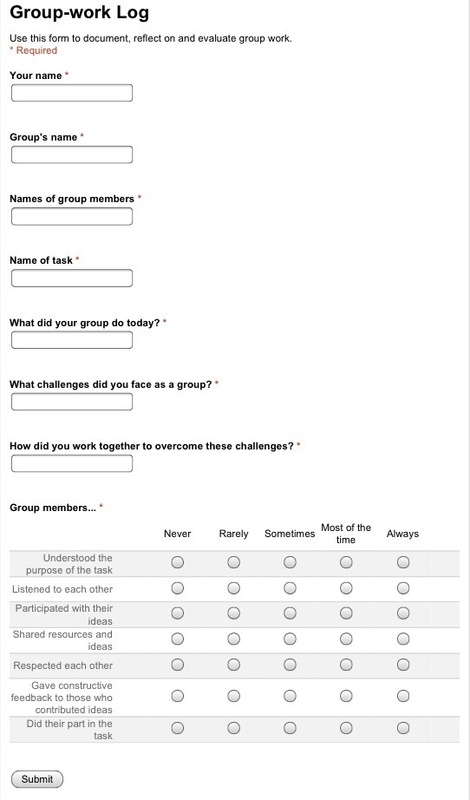 Before class, I would create a form with the indicators that need to be self- or peer-assessed (examples of each attached: peer assessment form and self assessment form), and then QR-code the link to these forms. Before the performances, students would scan the QR code and gain access to the Google Form. I would instruct them to read the form and have a think about the criteria upon which they are assessing themselves and/or their classmates. After watching the performances, students would then fill out the relevant form and click ‘Submit’. When I started using Google Forms, the process would end there: clicking ‘Submit’. I would then encourage them to write a short reflection on their self- or peer-assessment and keep it in their folios. However, I felt like this data that I’m collecting in spreadsheets is so valuable and gives me such a great insight into the students’ feelings about their creations in the drama classroom (my undergrad degree had a huge ‘statistics component’ so I actually get really excited about ‘data’!). I wanted to share those insights with the students, but didn’t really know how to make it relevant. 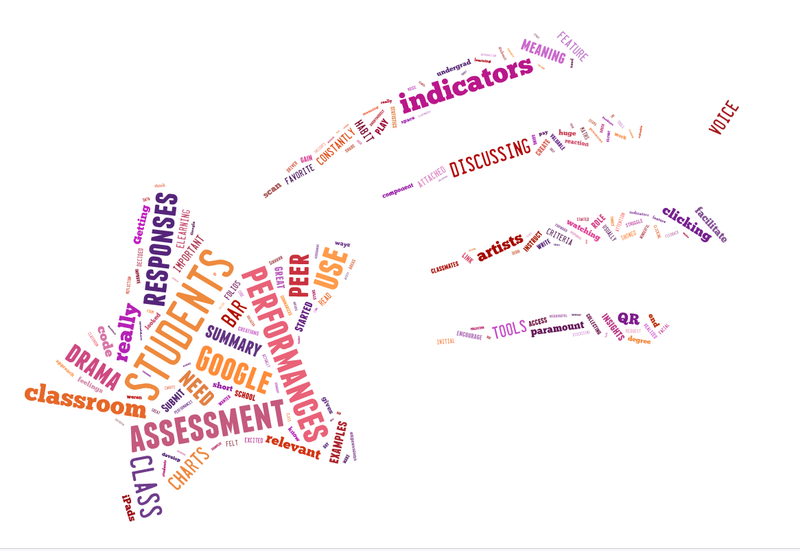 Until one day, I decided to actually show my students the ‘summary of their responses’ (I have attached a PDF of such a summary generated by Google Forms, scroll down to see how data is represented visually). Google Forms has a wonderful feature where it summarises responses as bar-charts, and I showed these bar-charts to the students. Their initial reaction was: ‘Sirrrrr this is DRAMA not MATHS!’ We looked at some of these indicators and discussed the meaning of the data. What does it mean when the indicator ‘I projected my voice well enough during my performance’ got a 50% response of ‘sometimes’, and a 25% response of ‘usually’? It means that we need to have a discussion about voice projection and ways to improve it! So, we started going through these bar-charts and discussing the areas where we, as a class, may need to work on, whether it’s voice projection, or use of the performance space, or use of facial expressions. I have found that this approach really got the students thinking about indicators they need to pay more attention to in order to develop as performing artists. The students realized that they weren’t alone, and that there are others in the classroom who struggle with the same skills, and it was done anonymously through Google’s wonderful ‘summary of responses’ feature! The students now actually request that I show them a summary of the responses whenever we use Google Forms in the drama class! It has been said that feedback is the main driver behind learning; and this is a great example of how data can be used to give meaningful and timely feedback that can move the students’ learning forward! This is my second blogpost for the Oxford University Press ELT Blog. It is about using Google Forms in the tablet/iPad classroom. Mohamed El-Ashiry takes a look at ways of using Google Forms in the classroom. I am one of Google Forms‘ biggest fans! I have many reasons to love the service, and I use it in many different ways. 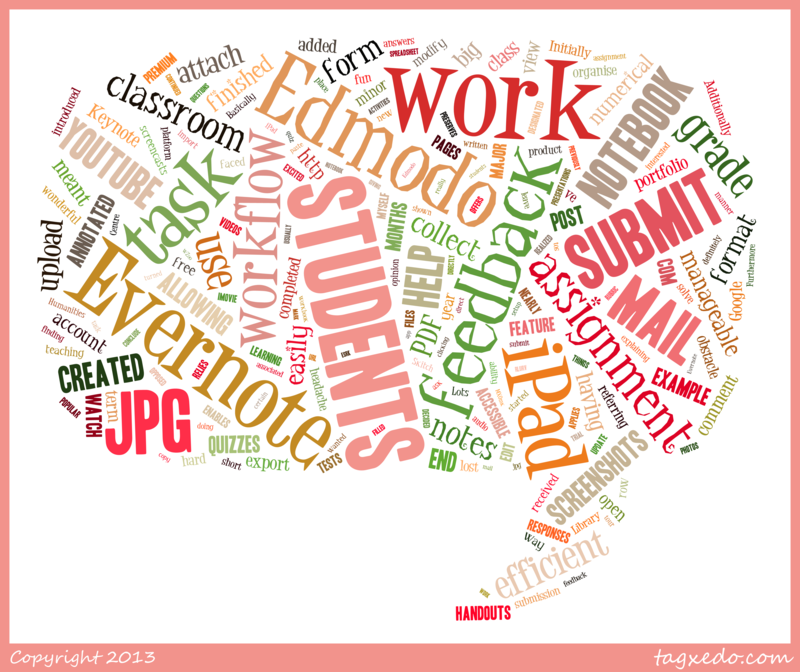 Edmodo + Evernote = my ideal iPad-classroom workflow! I have been teaching in iPad classrooms for nearly 18 months now. During the first few months, the biggest obstacle I faced was creating an efficient workflow between myself and the students. 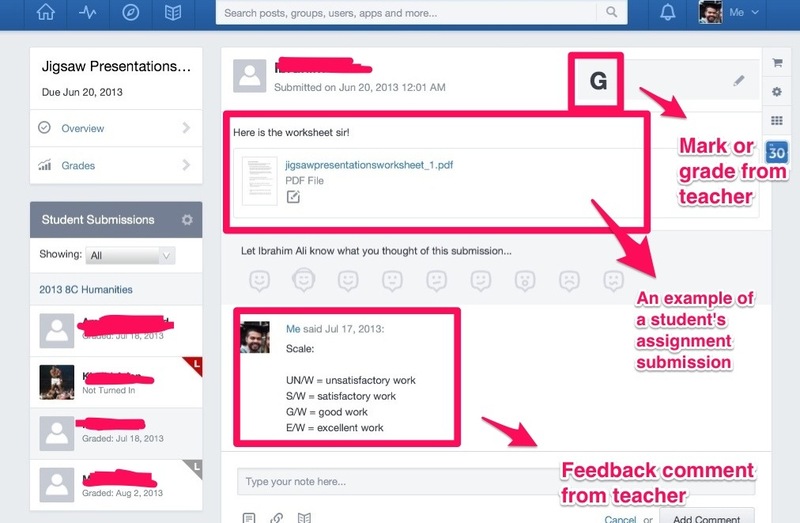 By ‘workflow‘ I am referring to a system that enables the teacher to easily distribute tasks to the students, collect that work back from students, and efficiently give them feedback on their learning. 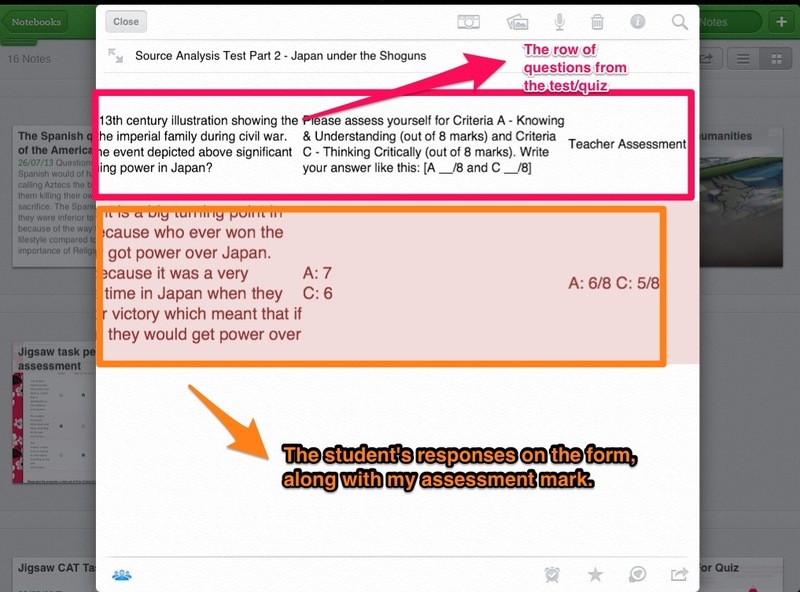 Initially, I would e-mail the students the task sheet, then they would download it and open it in another ‘app’ that allows them to work on it. Once finished, the students would e-mail me the work back. Lots of e-mails got lost, or my e-mail became too hard to organise and manage. Also, students could not e-mail big files like videos they’ve been working on. Additionally, having to e-mail all feedback to students was not fun. 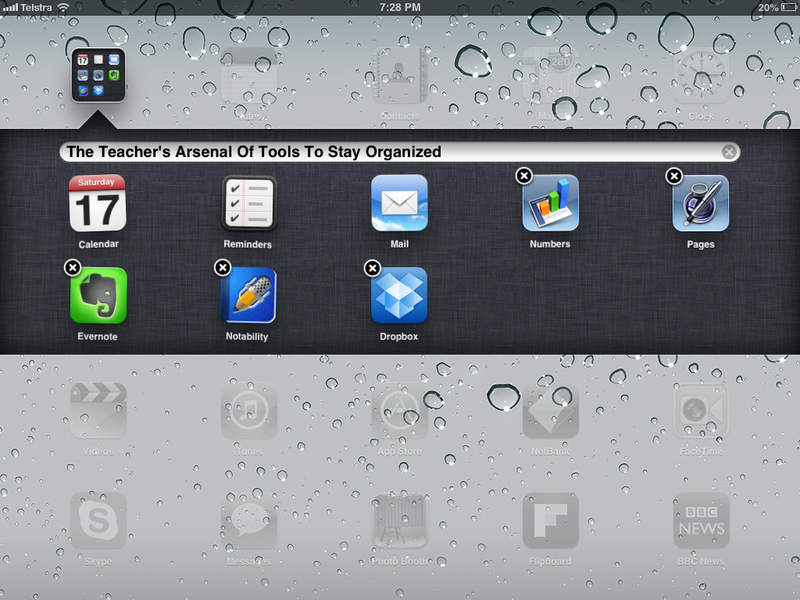 Basically, an iPad workflow that relies mostly on e-mail can be a big headache (in my opinion, at least). 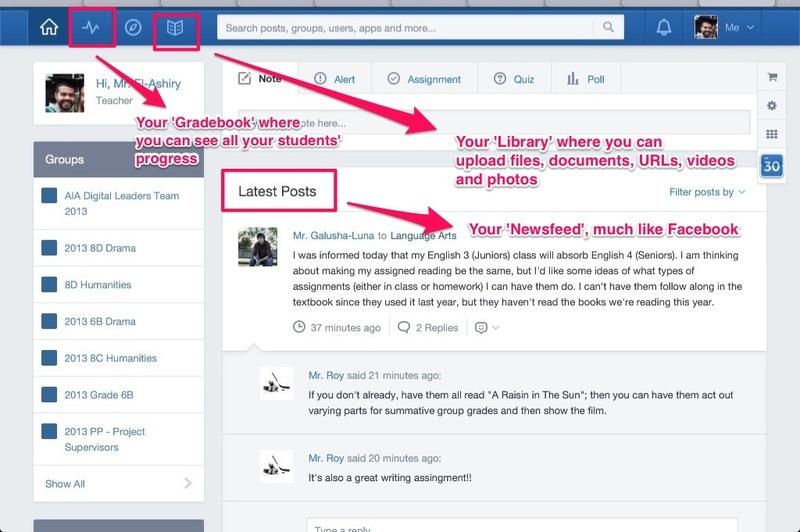 Towards the end of 2012, Edmodo introduced a wonderful new feature to their iPad app: the ability to import a document from any iPad app into Edmodo, and hence upload it to your Edmodo Library. 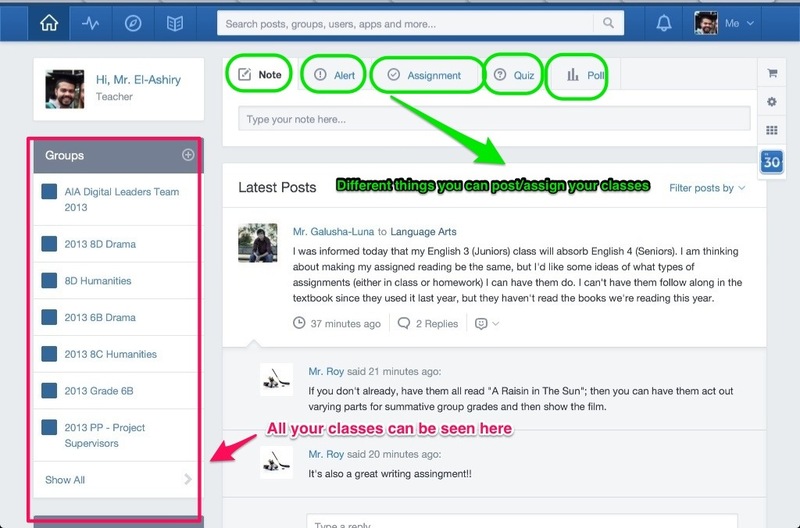 This was a great update, and many teachers got excited about it. This meant that now I can use my iPad to upload handouts/task-sheets and then attach them to an ‘assignment‘ post on Edmodo. 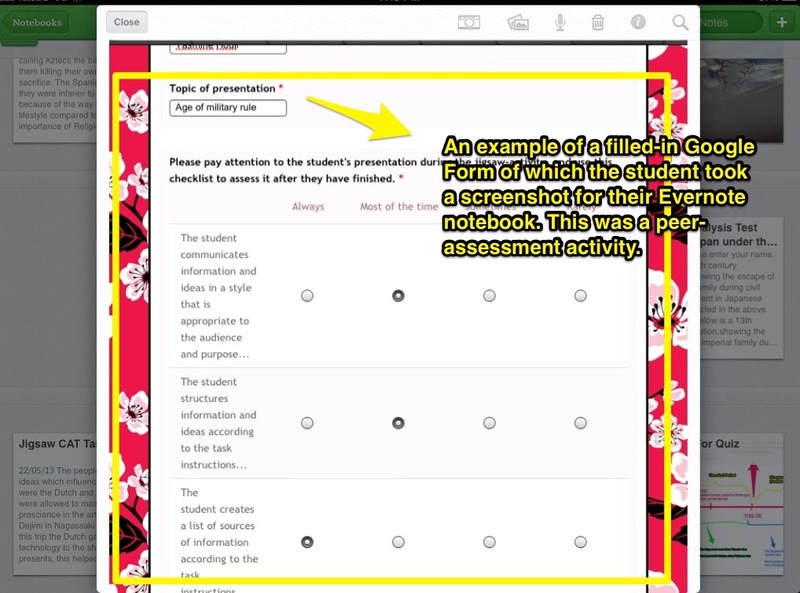 It also meant that students could download these task-sheets/handouts, work on them in another app, then upload them back onto Edmodo to submit for an ‘assignment’ post. 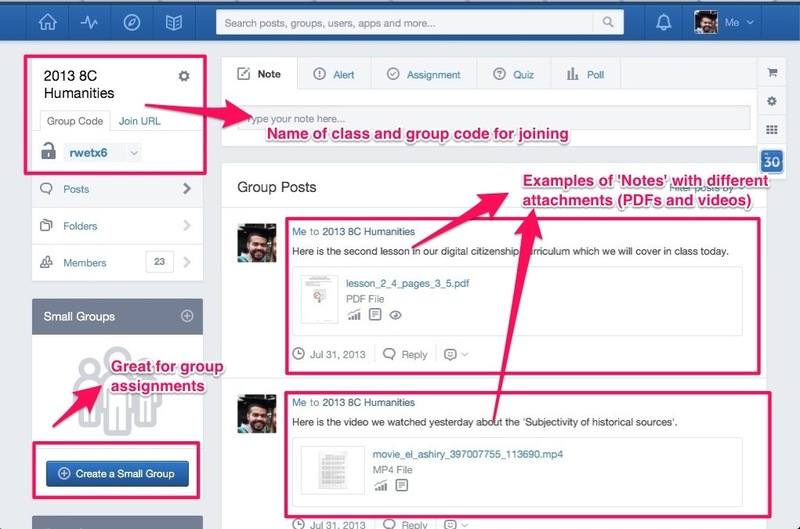 I quickly started using Edmodo in that manner with my year 8 Humanities class. It was great! To conclude, Edmodo and Evernote together have really helped me setup an efficient and manageable workflow for my iPad classroom. 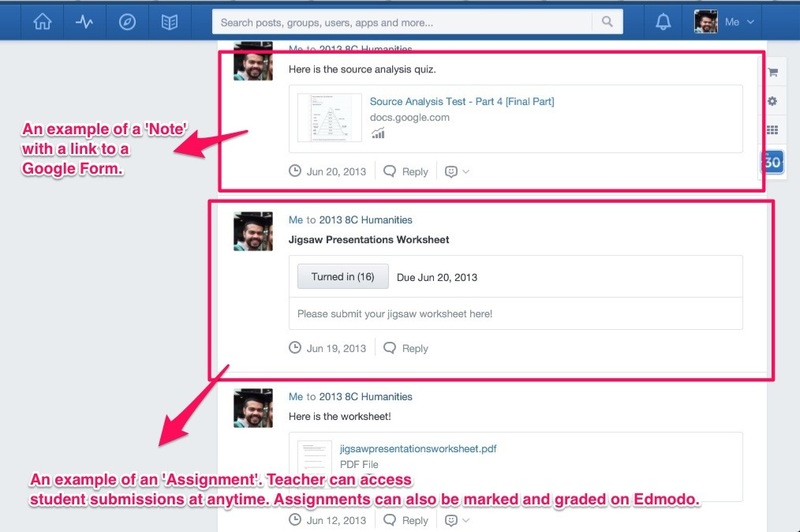 All tasks can be distributed through Edmodo, downloaded by students from Edmodo into other apps, submitted or ‘turned-in’ through Edmodo, marked/graded on Edmodo, and students can even receive feedback on Edmodo. 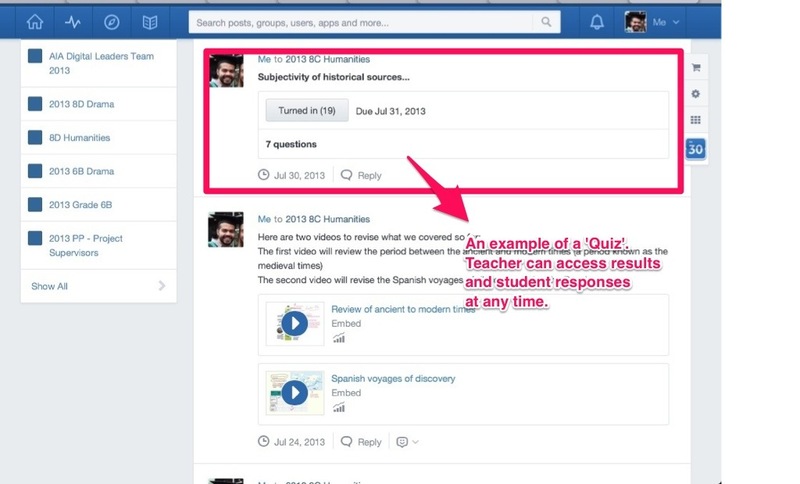 I would definitely direct any teacher interested in finding out more about it to the ‘Edmodo Help-Centre‘. Furthermore, Evernote has been a great help in allowing the students to collect all this work (along with the feedback received on it) into the one place in the form of a portfolio. 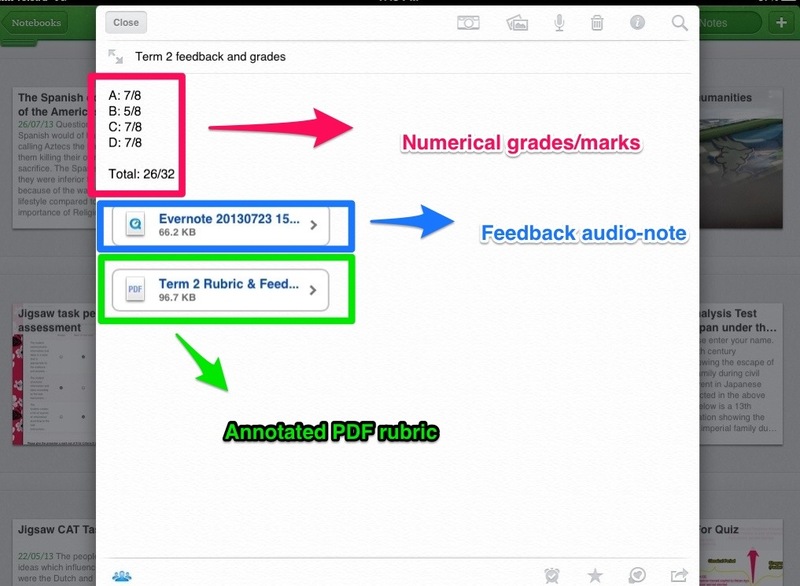 Below are some screencasts explaining certain how-tos associated with my workflow, and a screencast giving a tour of my one of my students’ shared notebooks. 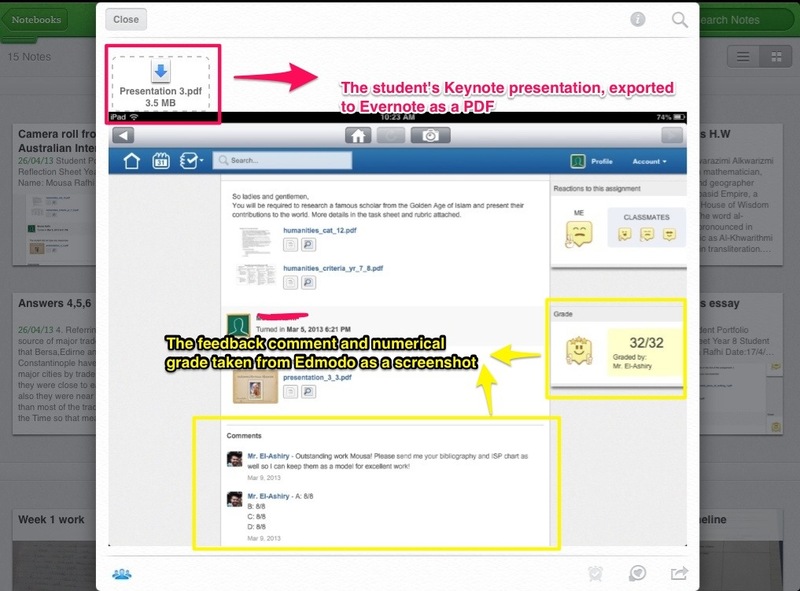 iCollaborate: making the most of collaborative learning in an iPad classroom? 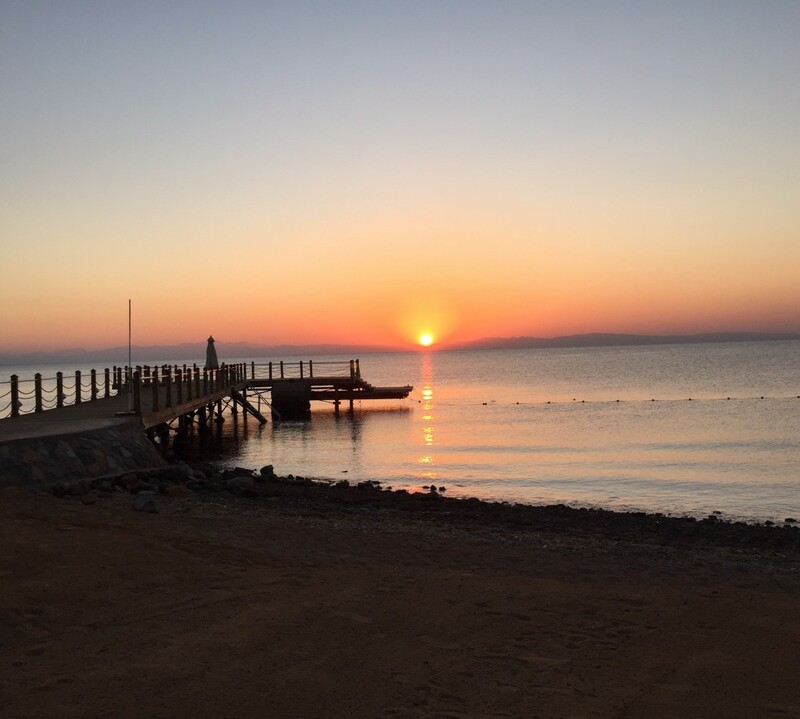 I started my teaching career at an international school in Egypt. This school had a very structured curriculum and used standardized testing very often. I learned a lot from working there, I have to admit. But one thing I found rather displeasing about the curriculum was that it only encouraged and facilitated individual learning. There weren’t many opportunities for group work or collaborative learning. When I moved to Australia, I took up a job at an IB school in Melbourne. I am still working there as an MYP Performing Arts, English/ESL and Humanities teacher. I noticed that some teachers shy away from group work. To be fair, group work does pose challenges that may not necessarily be present in individual tasks. One of the biggest challenges of group work is how to assess each student’s contribution to the final product. I believe the benefits of collaborative learning far outweigh the challenges (I recommend reading this article to find out more about the benefits of collaborative learning and how to make the most of it). I also believe that, when utilized correctly, mobile technologies (like the iPad) can facilitate collaborative learning and make it easier to assess, as well as document evidence of every step of the learning process. 1- Use a ‘group work log’ on Google Forms: I divide my class into ‘theatre companies’ which is the fancy name I give to the groups. Before every task, I create copies of this google form, one copy per theatre company/group, and I share the URL with them (or give them QR codes). 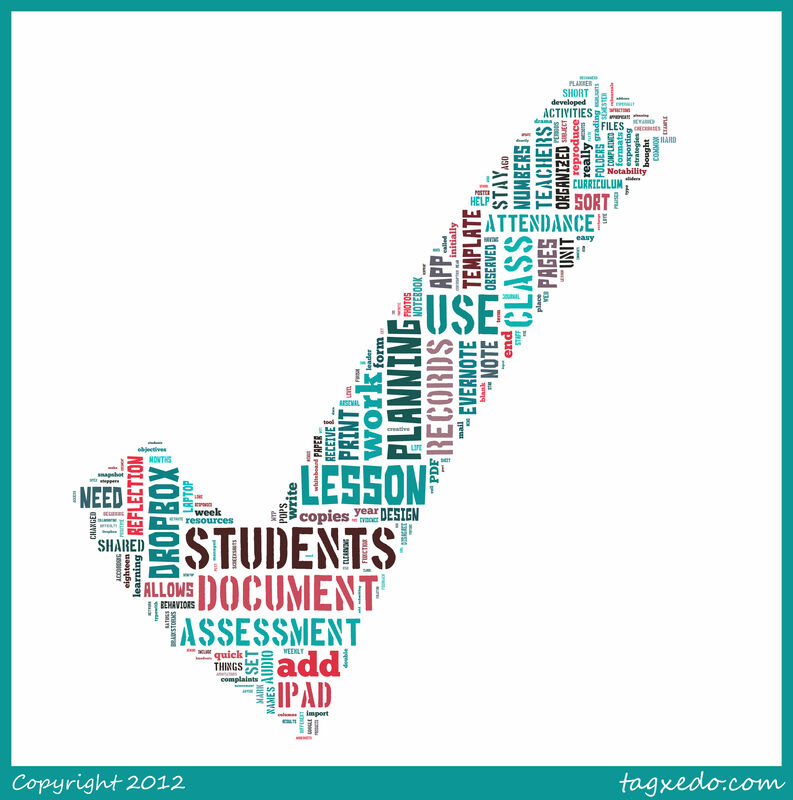 The students are required to fill out this group-work log after every lesson spent on the task (for example, if the task is spanned over three lessons, then each group member has to have submitted three entries). The advantage is that all entries have a date/time stamp, and this form allows the documentation and evaluation of, and reflection on, every step of the collaborative learning process. 2- Break the task into mini-tasks or steps and assign each student a mini-task/step: this is very similar to assigning group roles, such as group encourager, group reader, group writer etc… I have found that breaking the task into steps and assigning each student a step (or allowing them to divide the steps between them) gives the students more ownership over their part of the process. These mini-tasks can be independent of each other or built on one another. 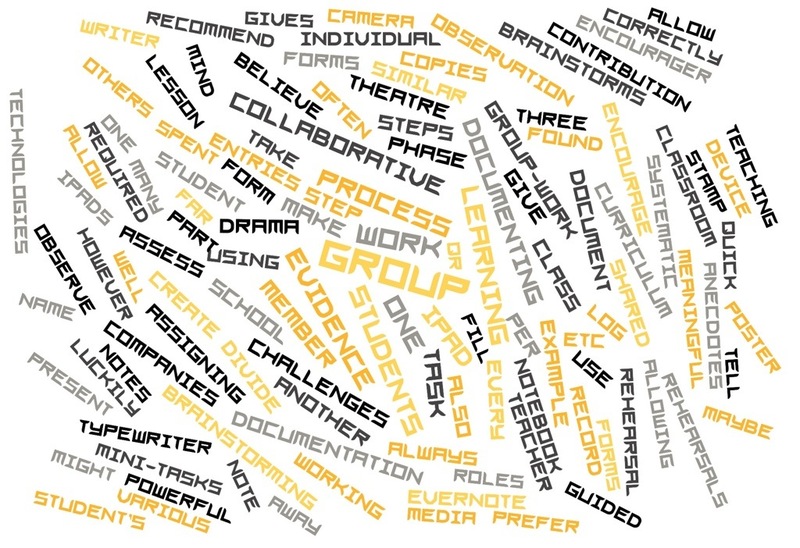 For example, in a drama assessment task, I would ask the group to give each member the responsibility of documenting evidence of a different part of the drama process: one member is responsible for documenting brainstorms, another for documenting the script-writing process, another for documenting the storyboarding phase, another for documenting the rehearsal phase etc… I would normally setup and use a shared notebook with the students on Evernote to help with this process of documentation. It is important to mention and explain to the students that even though each student is responsible for documenting evidence of each step of the process, they still have to all work together and collaborate through all steps. 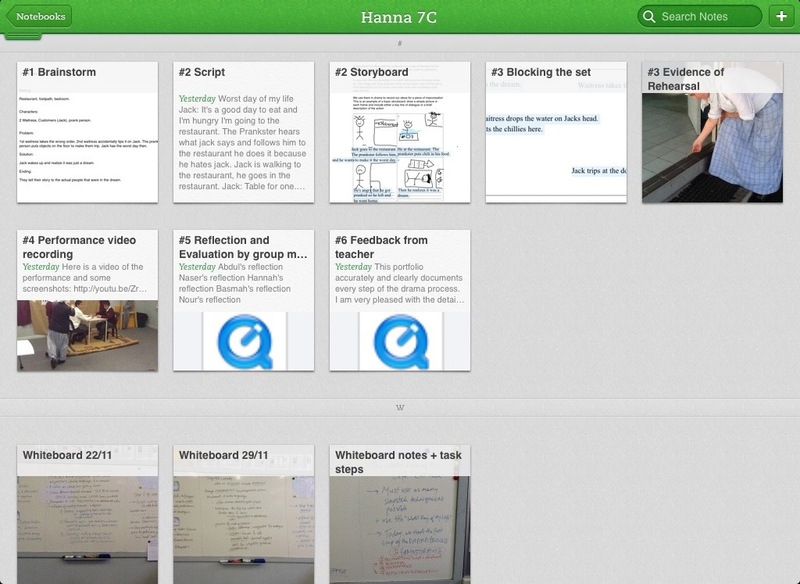 Here’s a screenshot of an Evernote portfolio/shared-notebook for students to document evidence of each step of the drama process. 3- Allow one-iPad-at-a-time per group: one of the most common ways of assessing group work and documenting evidence is guided and systematic teacher observation. However, in a class full of 25 students, and each on their own iPad, this might be difficult. I prefer to allow only one group member on an iPad at-a-time, while the others are using some other medium to continue with their work. This means I only observe 4-5 students on iPads at-a-time (as I usually have 4-5 theatre companies per class). For example, maybe in the brainstorming phase, the group could draw a mind map on poster paper, while one group member copies it into their iPad on a brainstorming app (here are two examples, one involving a google form, and another involving a typewith.me pad). To make my observations more meaningful, I often use a quick checklist of the ‘behaviors and attitudes to group-work‘ (which have been taught in the classroom) to guide my observations, and also to keep a record of them (I have the checklist as a picture in my camera roll and I just import it into ‘Skitch‘, which syncs automatically with Evernote). You might decide to share the checklist with the observed student/s but I prefer to just conference with them quietly and give them oral feedback based on my observations. 4- Ask students to document the group-work process using various forms of media: I always tell my students “it’s all about the evidence”. Luckily, the iPad is a camera, voice recorder, interactive whiteboard (or can be) and typewriter all rolled into one device. I always encourage the students to take photos/screenshots of their group work as documentation, record audio notes of their group discussions, create screencasts of their group brainstorms, take video footage of their rehearsals, or even jot down simple anecdotes of group work. I also encourage them to vary the forms of evidence and choose that which caters the most to their preferred learning style. This evidence can all be added to one note in their shared notebook, which they can call “evidence of group work” or anything similar. 5- Emphasize the process more than the product: collaborative learning should be more about the process of learning and working together, as opposed to creating a finished product to submit to the teacher. I prefer incorporating student reflection and student self-assessment during every phase/step of the process, as opposed to just using a rubric to assess a final product that the students submit. I also constantly remind my students that we learn a lot from the process itself, and that their main aim should not just be to finish and submit a finished product. How do you make the most of group work in your iPad classrooms? Please feel free to share your ideas, tips, experiences and suggestions in the comments below. Happy iCollaborating!